Travelling in Italy is so much more than just the big, bold iconic names that frequent travel magazines and brochures. So much of the beauty lies hidden in the small towns and villages you find when you are least expecting to do so. The Emilia Romagna region in northern Italy is an area which is no stranger to these wonderful places. 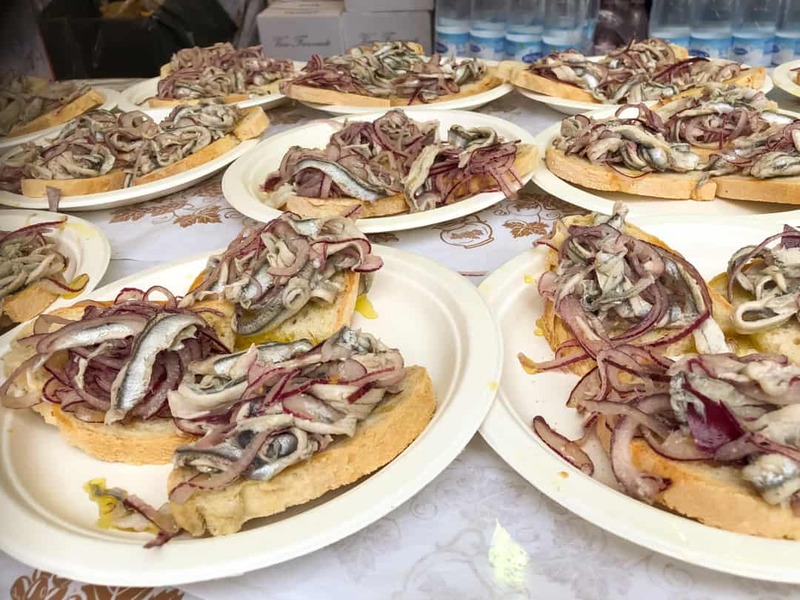 Not only is it known as the “food valley”, for its rich food environment, but it has more than its fair share of lesser known places that you should visit if you can. Cesenatico, on the east coast of Italy, is one such town. 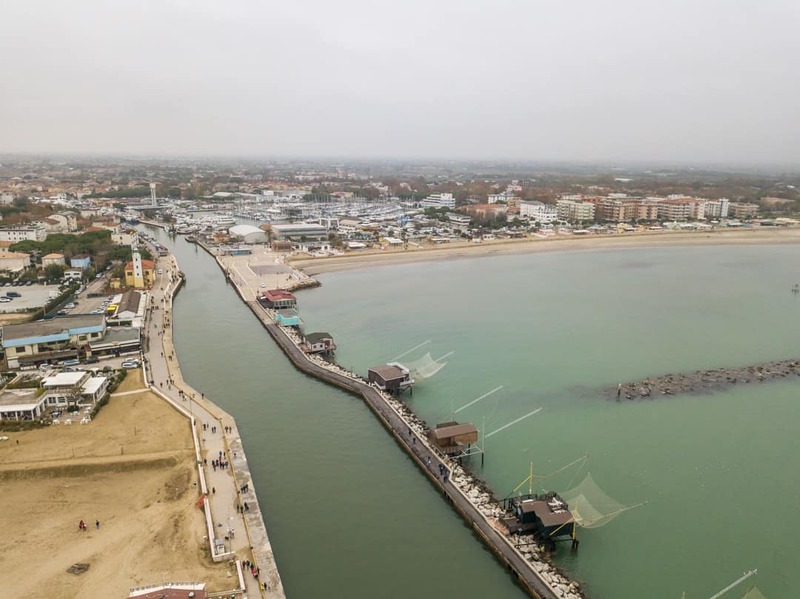 Located approximately 23 kilometres north of the more well-known city of Rimini, and 100 kilometres from Bologna, Cesenatico was once a thriving fishing town. In fact, it is still regaled as a key seaside and seafood town today, with extensive maritime history on display throughout the town. 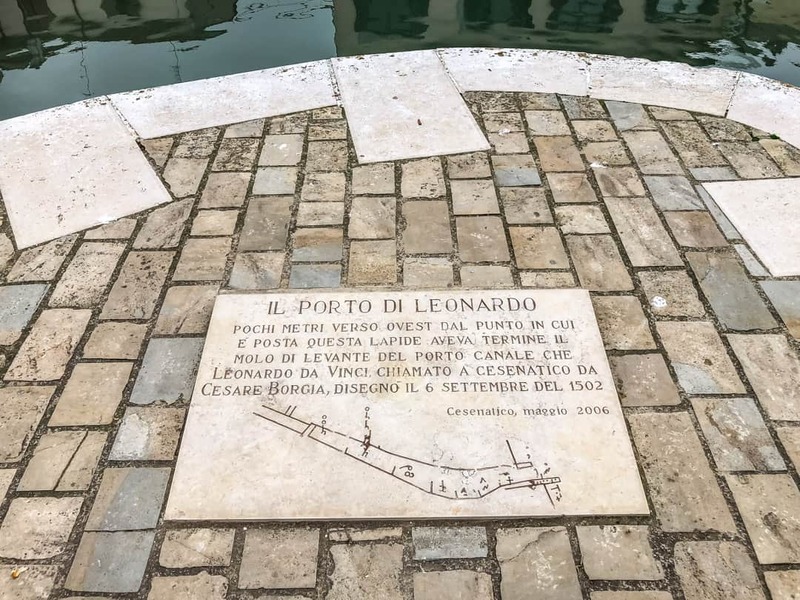 Cesenatico was built around a man-made canal, designed by Leonardo da Vinci. The main feature of the town, it serves as an open-air display of life in this fishing town. Brightly coloured boats sit in the canal, some open for viewing. 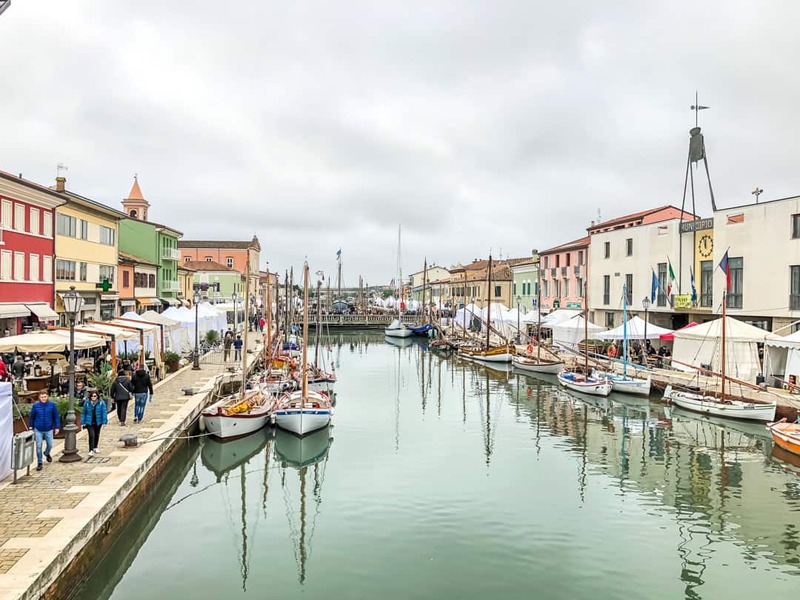 Cesenatico suffered great damage during World War Two but has gradually rebuilt itself to become one of the most popular seaside resorts on the entire Adriatic coast. During summer, the beach below is lined with umbrellas and chairs as visitors take advantage of the warm weather. Here the monument of Giuseppe Garibaldi is an important icon in the city. Garibaldi was a military man involved in many conflicts but most importantly for the Italians, he helped secure unification for the country. The statue marks his journey through the city in 1849. The maritime museum operates partly on water and also partly on land. On the land museum, a trabaccolo and a bragozzo boat, two of the most important fishing vessels in the area can be seen. The entire museum is a complete dedication to the life of a fisherman here in Cesenatico. Outside, the floating section of the museum can be found, showcasing traditional fishing boats that were once active on the Adriatic Sea. They are also equipped with the brightly coloured ‘al terzo” sails. The canal also has privately owned boats moored here. Whether privately or publicly owned, it is a rule here that they must all hoist their sales during summer and during festivals and regattas. This creates the ambience for the fishing village of Cesenatico. The fishermen of Cesenatico still sell their fish in the old Fish Market, close by the main central square of Piazza Pasacane. Like most fish markets, it’s best to get here early in the morning when the majority of the daily catch is on offer. Come too late in the day and most of it will be gone. If you miss the fish, you can admire the beautiful building that houses the fish market instead. 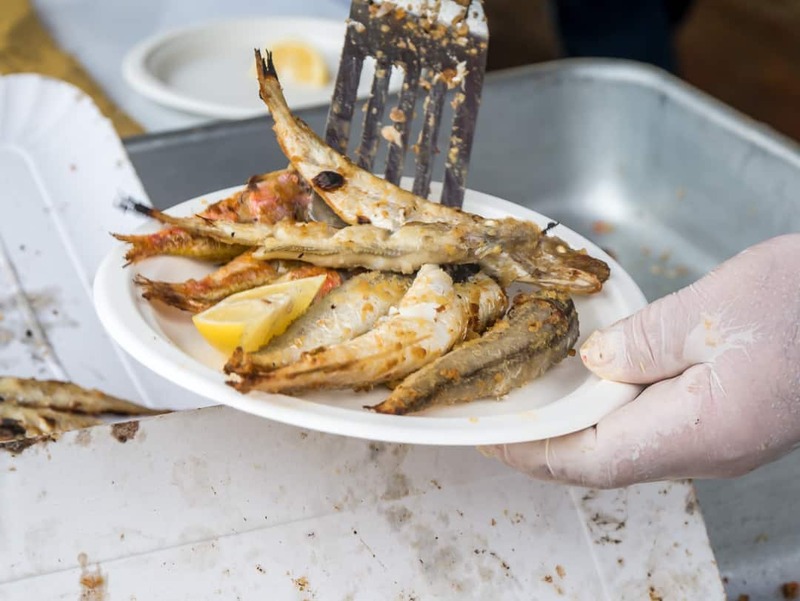 The Festival of fish and seafood is celebrated in Cesenatico each October/November* and it was the main reason for our visit here. The city was packed full of people, all coming to taste and experience as much as they could. The promenade that lines that canal, normally an area filled with those sipping coffee or wine, was frantic. Wall to wall people made their way along the canal, stopping to buy food or catch up with friends. Markets were also operating, selling cheese, ice cream and cannoli. We had a little bit of everything we could find as we headed down towards the port where the Fishermen’s Co-operative was punching out seafood by the tonne. *Dates vary each year. Check the Cesenatico website for accurate information. This is another early morning activity, watching them bring their trawlers back from the sea. During the day, it’s a little quieter out on the pier but it’s worthwhile going out to have a look at the fishermen’s huts and nets too. Here you can also see the commencement of the man-made canal that weaves its way through the city. For a small town, there are many great options to eat and drink. For a fantastic Italian bombolone con crema or the local treat pesche con crema, head to the Caffetteria del Teatro Pasticceria. For an afternoon aperitivo, fresh juice or a quick bite to eat check out Scalo 17 along the canal promenade. It’s got a relaxed vibe inside, or you can sit outside, and the beer and wine are cold! For fresh fish along the canal try Osteria del GranFritto where you can sit inside, or get takeaway paper cones filled with deep-fried seafood. Or try Terraza Bartolini, the sister restaurant down by the marina for another level of dining, with a view. Cesenatico is full of great hotels and places to stay. The city gets very busy in the summertime so advance bookings are essential. Cesenatico also proudly supports the motorhome community with large carparks on the immediate outskirts of the city, close by the railway station. Parking is also possible on the streets and down near the marina. If you are looking for somewhere fabulous to stay, you can’t go past the five-star Grand Hotel da Vinci, with direct access to a private beach. Check out the reviews and pricing on Trip Advisor. Search Trip Advisor for all other hotels and places to stay in Cesenatico. Cesenatico can be reached from Bologna via road or rail. Trains depart Bologna Centrale train station for Cesenatico’s only train station, a short walk from the centre of town and the canal. The trip takes approximately one hour and 40 minutes one way. Driving will take roughly one hour (100 kilometres) but is traffic dependent. In the summer, the roads get very busy leading out of Bologna on the weekends, as locals head to the seaside. Trains and buses also run from Rimini and you can catch a train from Ravenna. These are the two closest major towns to Cesenatico. For the best routes and timetables, check out the Rome2Rio website. The Emilia Romagna region is known as the food valley of Italy. With cities like Parma, Modena and Bologna leading the way, it's a veritable foodie heaven. There is so much to see and do in this region that also includes Ferrara, Rimini and Cesanatico. A day trip to one of the smallest countries in the world, San Marino is also possible. Read on for some unique experiences in Emilia Romagna. From truffle hunting to eating truffles, this is an adventure like no other. Spend the day in small medieval villages uncovering their hidden secrets. Get out of the big cities like Bologna and head to the hills of Romagna where you will find ancient fortresses, medieval villages and fantastic food. The ancient town of Brisighella lies just outside Bologna and makes for a wonderful day trip. While you are there be sure to visit the Donna Livia Agriturismo for a local food experience.